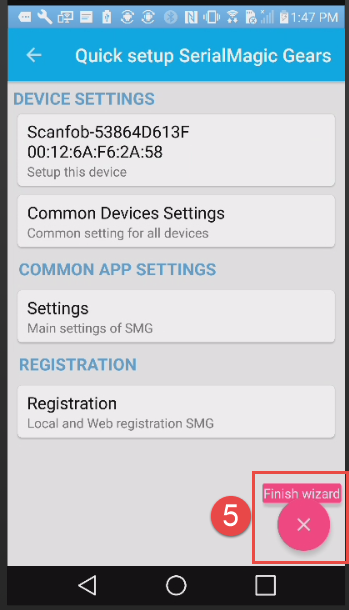 If you have a Scanfob scanner from SerialIO, you can connect the scanner to the phone with the Serial Magic Gears app. *Print out the SPP Quickstart Guide from https://serialio.com/support. *For instructions on connecting the Scanfob to an iPhone, click here. 1. 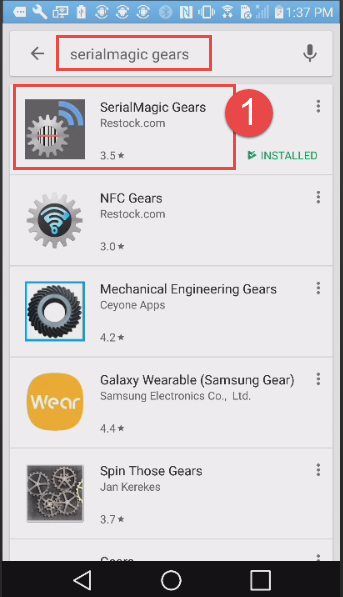 Search for SerialMagic Gears in the Google Play Store and install the app on your phone. 2. Hold down the small button on the Scanfob scanner until the blue light starts blinking rapidly. 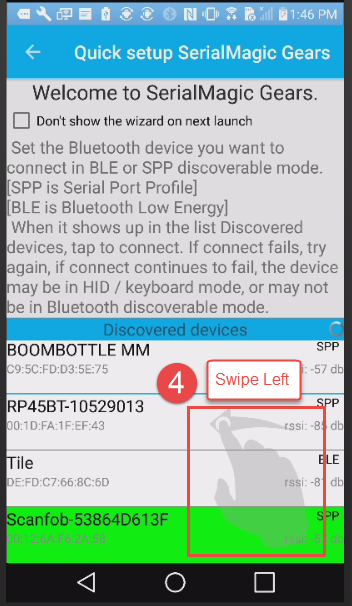 Release the button, then wait for the scanner’s name to appear under ‘Discovered devices’ in the Quick Setup. 3. 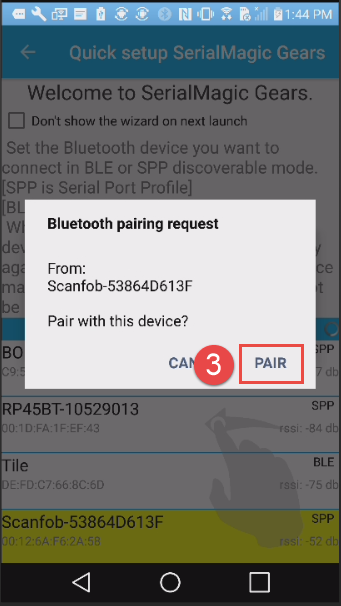 Tap the scanner’s name and then tap ‘PAIR’ when asked if you would like to pair the scanner to the phone. 4. The scanner will beep once to indicate that it’s connected. Swipe left to view the next screen, then tap ‘Finish Wizard’. 5. 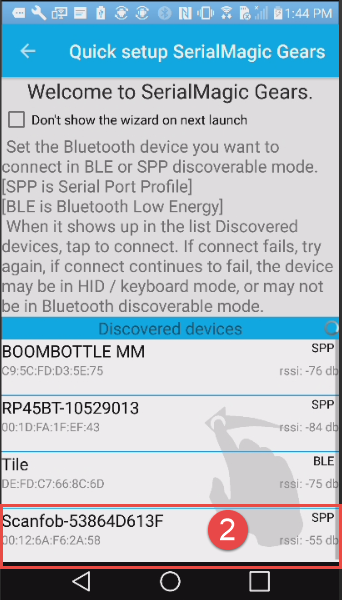 Test that the scanner can scan inside Serial Magic Gears app. 6. Open FBAScan and scan items into the program. To reconnect the scanner to the phone, Open Serial Magic Gears, hold down the large button on the scanner until the blue light starts blinking, and then tap on the scanner on the first page of the wizard; the scanner will connect automatically. If you have any questions on Scanfob scanners, please contact SerialIO at https://serialio.com/support, or e-mail at support@serialio.com.